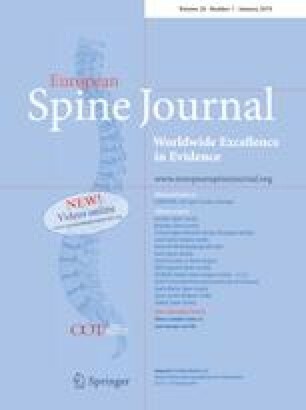 Revision adult spinal deformity surgery: Does the number of previous operations have a negative impact on outcome? To study the effect of the number of previous operations on the outcome of revision adult spinal deformity (ASD) surgery. One hundred and thirty-seven consecutive patients who underwent revision ASD surgery were classified as follows: those who had one previous operation (group 1), had two previous operations (group 2) and had three or more previous operations (group 3). Perioperative complications and additional surgeries were reviewed. Back pain, leg pain, ODI scores and radiographic measurements were obtained. Preoperatively, the patients in group 3 had worse ODI (60.0 vs. 48.1 and 47.9, p < 0.01) but not back pain or leg pain. Group 2 and group 3 had worse coronal plumb line (38.4 and 35.8 mm vs. 18.2 mm, p < 0.05) and SVA (99.7 and 153.9 mm vs. 67.8 mm, p < 0.05). Group 3 had worse PI–LL mismatch (40.1° vs. 25.3° and 26.2°, p = 0.08). Minor and major perioperative complication rates were 27.5% in group 1, 31.1% in group 2 and 39.0% in group 3 (p > 0.05). At mean 30-month follow-up, the additional surgery rates were 7.8, 17.8 and 22.0%, respectively (p = 0.07). The patients in all groups had improved back pain, leg pain and ODI scores. The net improvements on back pain, leg pain and ODI were not statistically different between the groups. Revision ASD patients who had two or more previous operations present with more coronal and sagittal imbalance and worse functional status. Patients who had three or more previous operations have relatively higher reoperation rate but similar perioperative complication rate and similar clinic improvements. The online version of this article ( https://doi.org/10.1007/s00586-018-5747-1) contains supplementary material, which is available to authorized users. The authors declare that there is no direct conflict of interest associated with this manuscript.